Sodium lauroyl isethionate (SLI) is a mild surfactant used in various personal care applications. Sodium lauroyl isethionate exhibits excellent detergency properties. It is also used as a cleansing agent in several applications such as shampoos, facial care products, body washes, and toothpastes. However, it can be harmful to the skin and can cause irritation when used in higher concentrations or quantities above the standard limits. Sodium lauroyl isethionate is formulated by using fatty acids combined with isethionic acid. Isethionic acid is derived from sodium bisulfite and aqueous solution of ethylene oxide. However, ethylene oxide is a carcinogenic substance. This may act as a restraining factor for the market. This report studies the global Sodium Lauroyl Isethionate market status and forecast, categorizes the global Sodium Lauroyl Isethionate market size (value & volume) by manufacturers, type, application, and region. This report focuses on the top manufacturers in North America, Europe, Japan, China, and other regions (India, Southeast Asia). 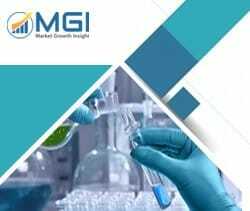 Focuses on the key Sodium Lauroyl Isethionate manufacturers, to study the capacity, production, value, market share and development plans in future. Regional and country-level analysis of the Sodium Lauroyl Isethionate market, by end-use.